Establish a prayerful atmosphere for faith sharing with Live Lent! from RENEW International. This playlist includes six songs that are recommended at the opening of the faith-sharing sessions for each Sunday of Lent, Year C.
This playlist includes six songs that are recommended at the opening of the faith-sharing sessions for each Sunday of Lent, Year B . Establish a prayerful atmosphere for faith sharing with Live Lent! from RENEW International — the leader in providing faith-sharing resources for small groups. 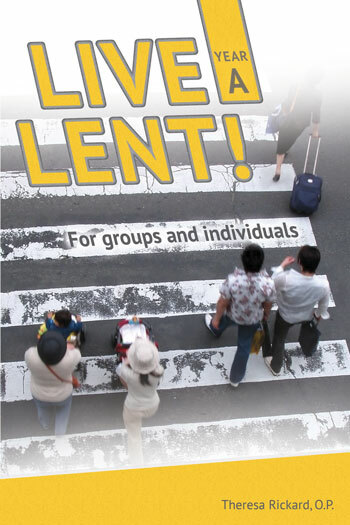 Live Lent! provides faith-sharing sessions for each Sunday of Lent in Years A, B and C, plus personal meditations for each weekday. Created in partnership with OCP, each playlist includes music that is recommended at the openings of the Sunday sessions. First Sunday of Lent: "Create in Me” and "Loving and Forgiving"
Second Sunday of Lent: "Transfigure Us, O Lord" and "Change Our Hearts"
Third Sunday of Lent: "You Are Near" and "River of Glory"
Fourth Sunday of Lent: "The Cry of the Poor"
Fifth Sunday of Lent: "Be Not Afraid"
Palm Sunday: "Behold the Wood"
First Sunday of Lent: "Loving and Forgiving"
Second Sunday of Lent: "Transfigure Us, O Lord"
Third Sunday of Lent: "Change Our Hearts"
Fourth Sunday of Lent: "Christ, Be Our Light"
Fifth Sunday of Lent: "Create in Me"
First Sunday of Lent: "Eagle’s Wings"
Fourth Sunday of Lent: "Come Home"
Fifth Sunday of Lent: "Loving and Forgiving"